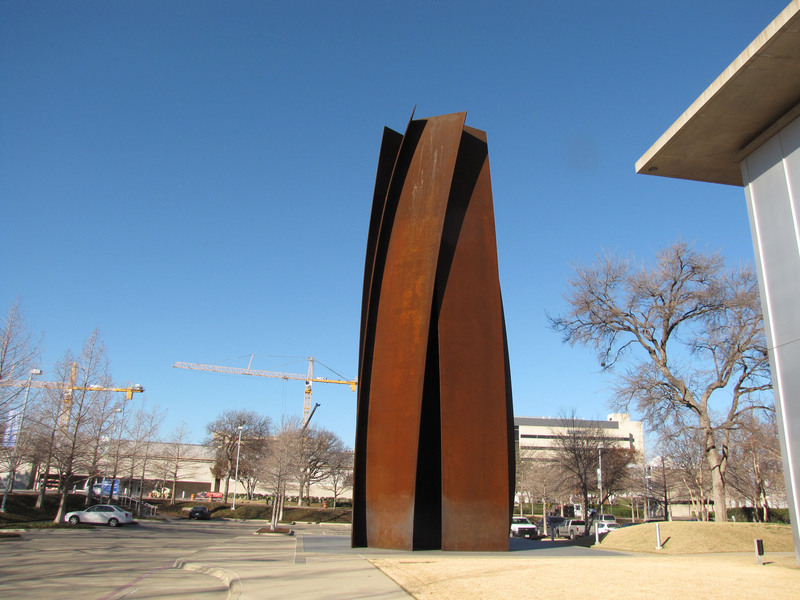 Last week I took the time to visit Fort Worth and take in several museums. It is about 5 ½ hour drive from Beaumont but there wasn’t much traffic until Fort Worth and the go-home-from-work crowd. I stopped at Collins Street Bakery in Corsicana both coming and going for coffee—people there are clearly NOT Cajun as the coffee was about 1/3 strength and not very hot. A small indulgence was a fruitcake—yes, I am one of THOSE people who actually like fruitcake. Fort Worth is a relatively small city but cursed with multiple confusing roads with entry on the right and exits on the left across five or six lanes of go-home traffic. I hadn’t made a reservation for a hotel and the first few I found looked like rent by the hour kind—eventually I found a Holiday Inn Express. This was one of the most pleasant places I have ever stayed; my room was upgraded to a suite; the breakfast was quite nice with a pancake making machine; a nicety was a shuttle that would take me anyplace in Fort Worth AND pick me up even after I had checked out of the hotel. The driver was interested in art and gave me a short tour of the museum district before dropping me off at the Kimbell about half an hour before the museum opened. I didn’t get to all of the museums skipping the Museum of Natural History and Science and the Museum of Modern Art—my feet were tired and I knew I had to get back home so as to be at work the following day. “Vortex” by Serra was near the Museum of Modern Art across the parking lot and I spent a few minutes taking some photos; then hurried back to get in line. The Kimbell isn’t a very large museum and nearly half of it was devoted to the Caravaggio exhibit. The exhibit was packed full of people as this was the last week of the show.